Have you ever had deja-vu while you’re at work? 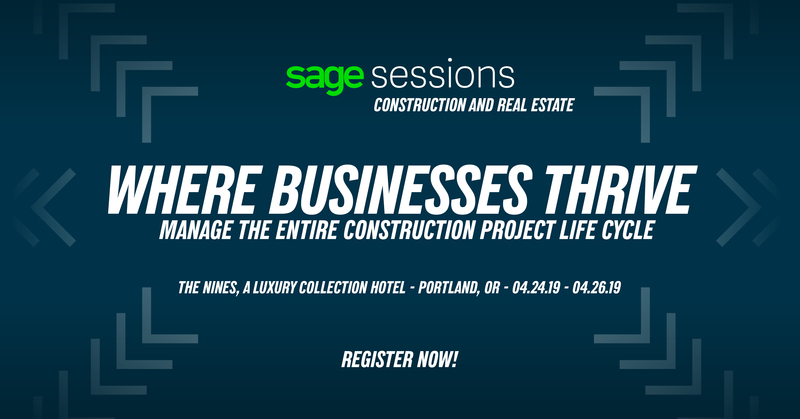 During one of our latest Coffee Break with Practical Software Solutions meetings, we were discussing TimberScan for Sage 300 Construction and Real Estate. I had a feeling that I had already attended this meeting, even though this was the first time I had seen Core Associates’ presentation. TimberScan is a document management module designed to automate the Accounts Payable process from data entry to approvals to reporting. With a few upgrades, TimberScan can also be used to manage any and all of a company’s documents throughout the Sage 300 CRE suite. As Sandra Gioe-Rieders was giving the presentation, it dawned on me why it all seemed so familiar. We had talked about Altec’s doc-link during a recent Tuesdays with Practical for our Sage ERP customers. Just like TimberScan, doc-link is a document management system designed to eliminate paper from a company’s workflow. According to Delphi Group, 15% of all papers are lost, 30% of our time is used trying to find these lost documents. Looking at my desk, it wouldn’t take long to figure out why document management is a major step forward for modern businesses. Right now, my office looks like the Document Fairy came by and sprinkled papers all over my desk. (OK, I’ll admit it: I’m sloppy when it comes to filing.) But luckily, since I’m the marketing director, I’d guess 95 percent of my papers are just printouts of my work for editing. 90% of critical business information exists only on paper. 70% of today’s businesses would fail within three weeks if they suffered a catastrophic loss of paper-based records due to fire or flood. I’m pretty sure there’s some people reading this right now whose palms just started sweating. And don’t fall into the “that’ll never happen to us” trap. One of our customers — Nashville Wire Products — had to deal with the ramifications of the devastating floods that hit Tennessee back in May 2010. Monica Stancik, the IT director for Nashville Wire, said that event opened the doors for her company to start discussing document management in earnest. 15% of all papers are lost, 30% of our time is used trying to find these lost documents. Companies on average spend $25,000 to fill a typical four-drawer file cabinet, $2,000 to maintain it annually. So imagine this hypothetical (but familiar) process for a construction company that uses Sage 300 CRE: Invoice comes in by e-mail. Invoice is printed by Accounts Payable employee and taken to C-Level employee for approval. C-Level employee is away from desk, so invoice is left with secretary. Secretary waits until next morning to present full day’s paperwork. Invoice ends up back in secretary’s inbox until she’s available to bring it back to Accounts Payable that afternoon. Accounts Payable doesn’t get to that stack until the next morning. As AP employee keys in approved invoices, two were accidentally stuck together (luckily, not the one we’re focusing on, but someone’s not going to get paid for a long while). Invoice gets moved to a pile for future filing. Process begins for cutting a check for payment … and so on. 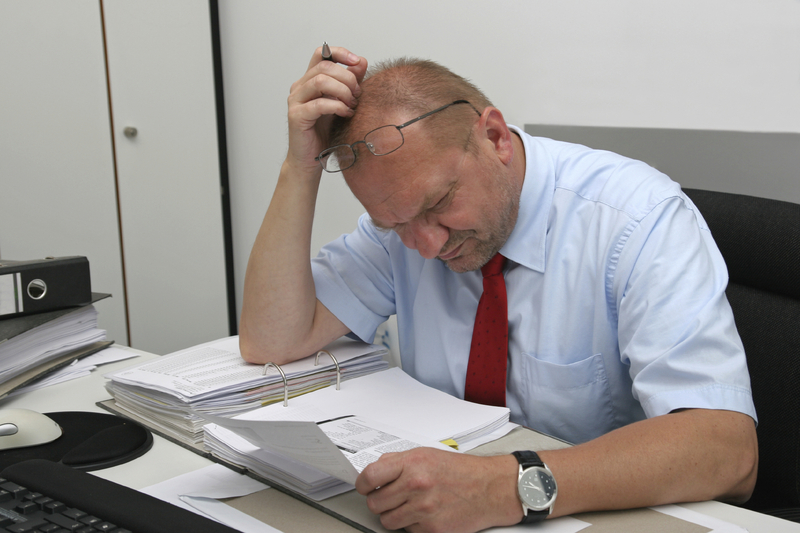 This is a look at how document management can improve business flow. So there you have it: The document gets scanned, coded, approved, reviewed and is ready for reporting automatically. For the sake of argument, if everyone in this chain happened to be at their desks and looking at their e-mails when an invoice gets sent through the system, this process could be done in a matter of seconds. Also, all documents are indexed, so there’s no digging through dust-covered banker’s boxes full of records in a storage closet to review an old document. Reduced errors — Because document management programs automate much of the paperwork processes, it leads to fewer mistakes along the chain. These systems are set up so the approval chain remains constant, so there’s no mistaking who is supposed to approve what. There are alerts set up in the system to announce that a document requires action, so it leads to fewer errors of omission. There’s also less keying in of data, which leads to less typos and other clerical errors. Secured data — Data security is a massive issue in the business world today. Having an automated document management system will stop looky-loos who are nosy about paperwork on other people’s desk or other people who have a more nefarious purpose. (Are you sure the exterminator isn’t stopping to read the top invoice in your inbox as he walks by?) The products also come with internal and external security. An important document isn’t going to be redirected to the wrong person, and hackers will have a hard time trying to get past the encrypted data. One of the benefits of being a multi-channel Sage partner is that we get to see how different industries are affected by the same issues. As Sandra was giving her presentation, in my mind’s eye, I was thinking about the trade show floor on Sage Summit 2014, where I seemed to have seen at least one document management piece in each of the different channel areas. To me, that’s the biggest indicator of how important a module is. Even though companies that use wide range of Sage products can be vastly different, if you see the same types of modules in each of the channel areas, there’s a good chance that it’s not just the flavor of the day, but a vital piece of the puzzle for your business.